Let your friend know they are amazing with this Birthday Card By Caroline Gardner. 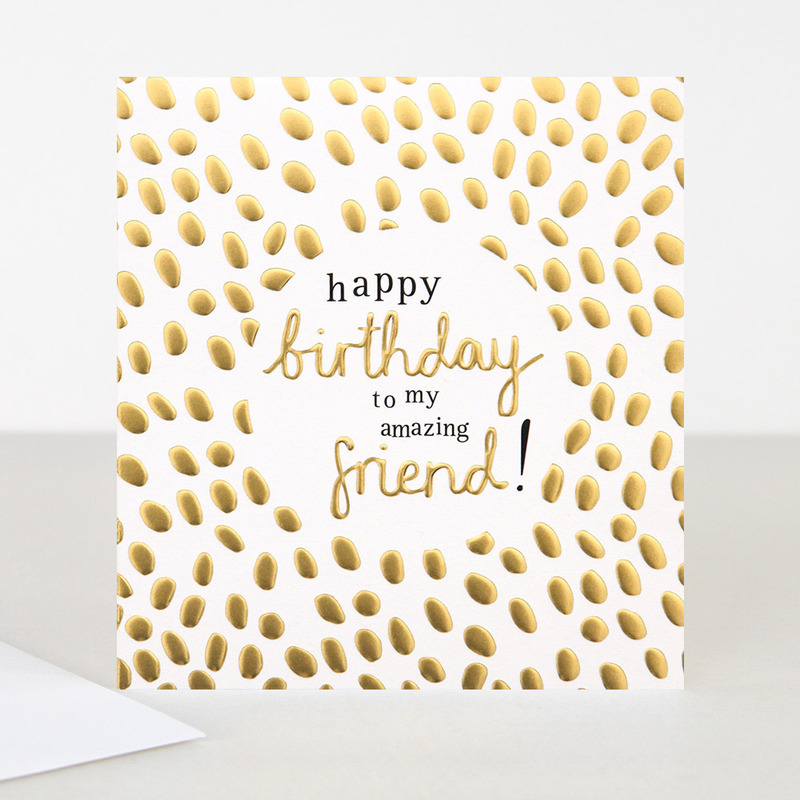 Lashings of embossed gold foil and monochrome text, the words on the card are "happy birthday to my amazing friend!". The inside of the card is blank for your own message.